This entry was posted in Parenting and tagged baby, bath time, Humor, Life, Lucy, SAHM, stay at home mom, trouble maker, troublemaker. Bookmark the permalink. Kelly, My kids love when I do their bath as “dog wash”. They pick dog names and crawl around barking and I put them in the tub and hose them down. I highly recommend starting this tradition early. Both a time saver and fun for mom. Okay. 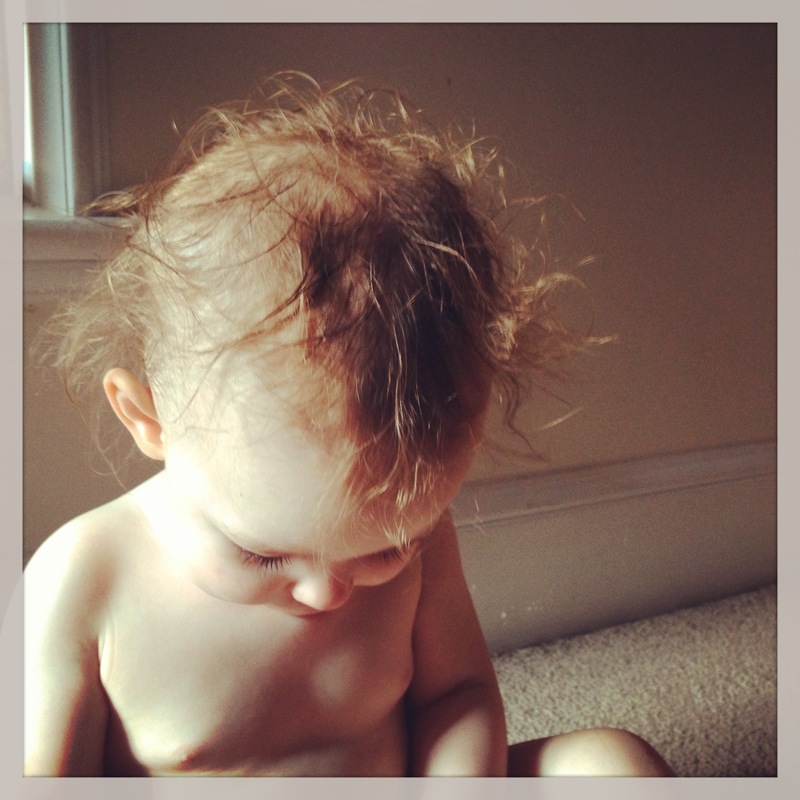 She even makes crazy hair look adorbs!! You’re gonna have your hands full lady. Enjoy the ride! !